Your Moroccan holiday will remain incomplete if you skip visiting the ‘Souks in Marrakech’. If you wonder why we would say that keep on reading to find out. The popular souks (markets) of Marrakech are lively and full of chaos but it’s the kind of chaos that you’d fall in love with. The old world charm only amplifies the experience. However, the souks might look like various small alleyways but once you enter the market you would be pleasantly surprised to see so many vendors selling so many different things. Don’t get confused, let your heart guide you. Follow the colors - let these colors soothe your eyes. Soak in the aromas of Moroccan spices. The colorful and vibrant energy will make you feel at peace in the middle of a chaotic souk. If we say Marrakech is a place where you can find an artist on every street, believe us we aren’t exaggerating. 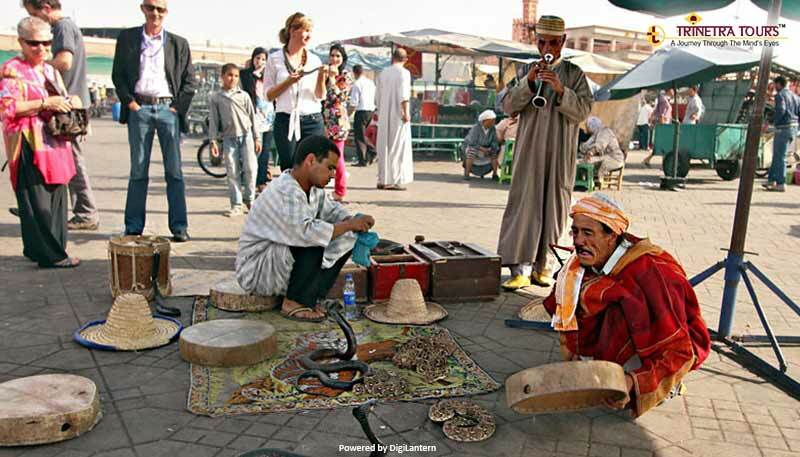 The maze-like souks of Marrakech are full of street magicians, palm readers, henna artists, folk singers, snake-charmers, ventriloquist, and jugglers. There’s no way you can get bored here, rather you’d be utterly amused to see all this happening in a single place. From perfumes to spices you can easily locate anything and everything in here. 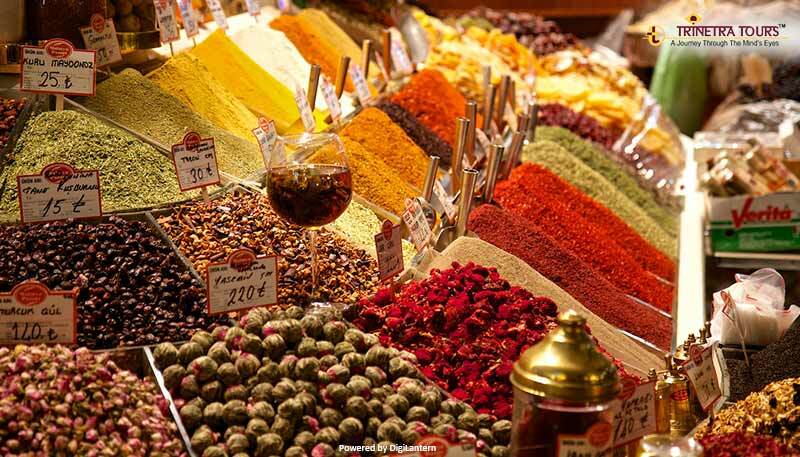 In the souks of the old city of Medina what you shouldn’t miss buying include a pair of bright and colorful leather footwear, the Arab rugs and carpets, the famous Moroccan lanterns and last but definitely not the least - aromatic spices from the spice souks. However, don’t forget to bargain. 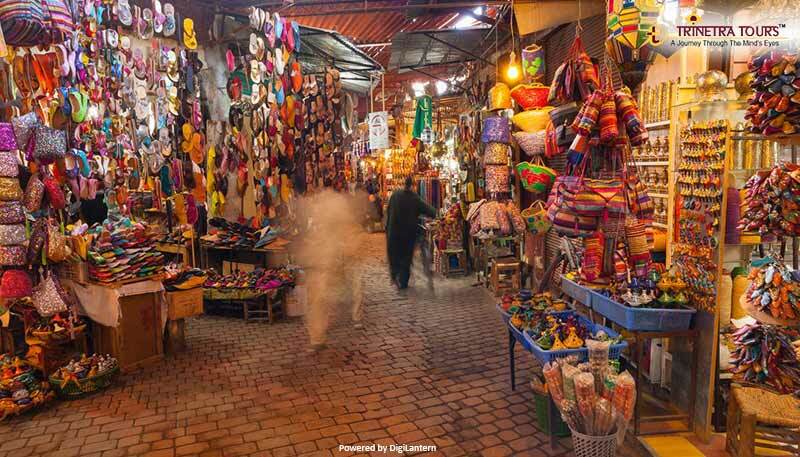 Rambling through the bustling souks might make you feel tired and exhausted. 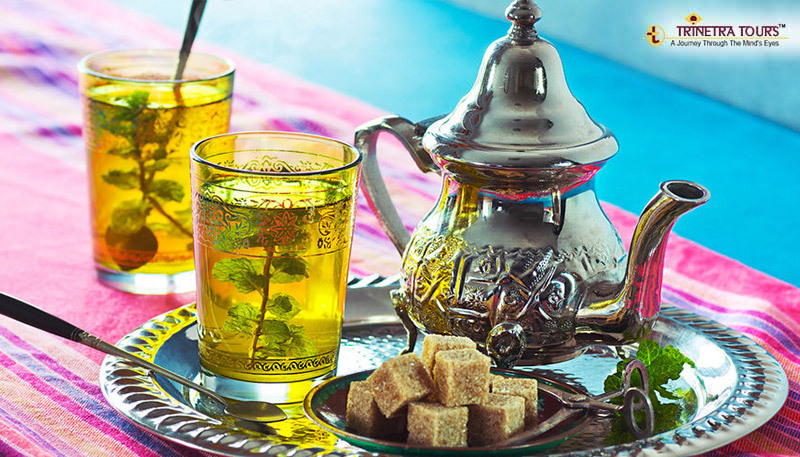 The best way to unwind is to relish the authentic mint tea. As the side dish, you could try Couscous which is the national delicacy of Morocco. The pickled lemons, olives, and grapes (eaten as a dessert) are also on the ‘must try’ list. Also, the people of Morocco are really warm and hospitable. They would always make you feel welcome in their city. If you wish to experience the warm hospitality and vibrant culture of Morocco, now is the time because we are offering special discounted packages under ‘End of the year Bargains’.